For this follow-up analysis, several lifestyle factors including smoking status, exercise, and alcohol intake were reviewed to determine any relationship with CRC-specific survival. The Melbourne Collaborative Cohort Study (MCCS) previously showed that physical activity prior to CRC diagnosis is linked to CRC-specific survival. This article includes 11 further years of follow-up to MCCS as well as data regarding microsatellite instability (MSI), disease subtype, and BRAF/KRAS status. Of 1227 enrolled patients with CRC, 724 (467 colon/257 rectal) were included in survival analyses. During a median follow-up from diagnosis of 9 years, 339 patients died, including 170 CRC-specific deaths. 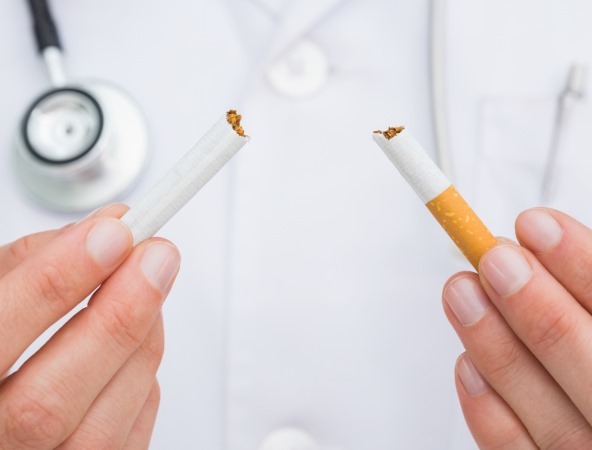 Although no overall association was found between cigarette smoking and CRC-specific survival, former smokers who quit at least 10 years prior to evaluation had a hazard ratio (HR) for CRC-specific death of 1.92. Smokers with BRAF­-mutated disease also had an HR for death of 1.82. Patients with a large waist-circumference had worse CRC-specific survival (HR for death per 10 cm increase, 1.25); there was, however, no clear association between body mass index and survival. Patients who exercised prior to diagnosis with stage II disease had improved CRC-specific survival (HR, 0.25), though no association was found between exercise and stage I or stage III disease. No survival associations were noted for alcohol intake or MSI status.